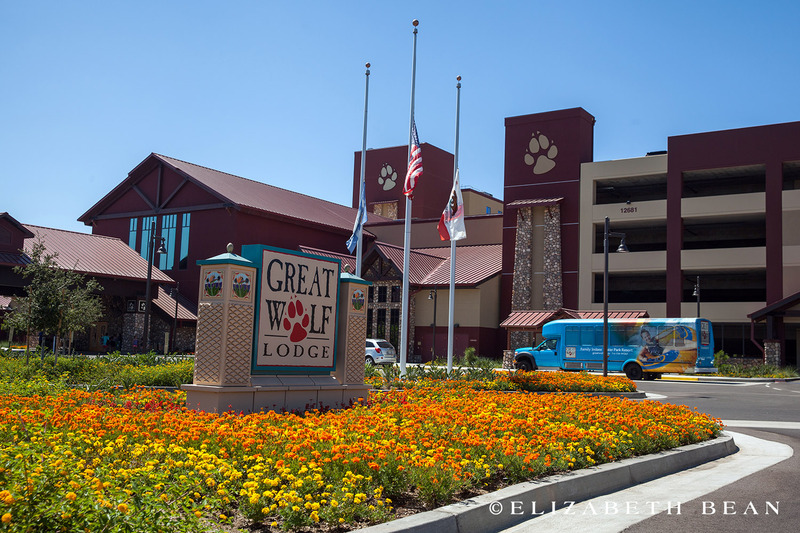 The Great Wolf Lodge Resort— the largest chain of indoor waterparks in North America—opened their latest location in Garden Grove, California a mere two miles from Disneyland earlier this year. 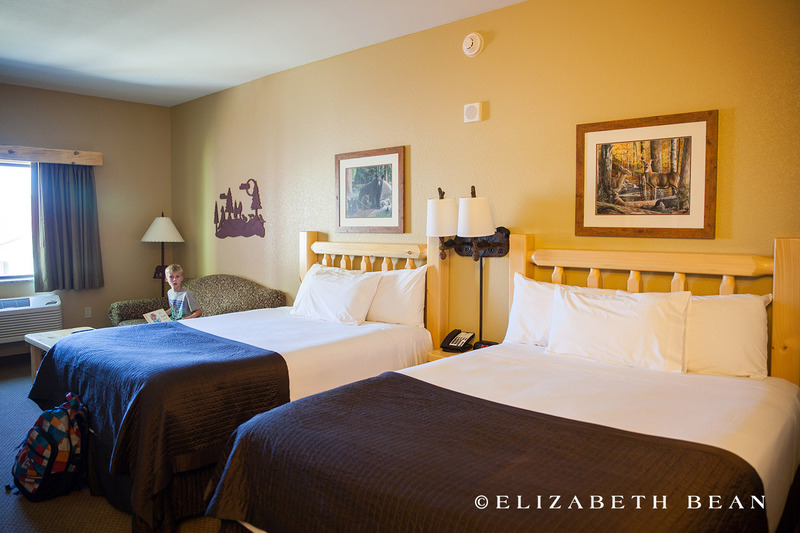 And, in taking advantage of their grand opening special, we booked a one-night stay recently. 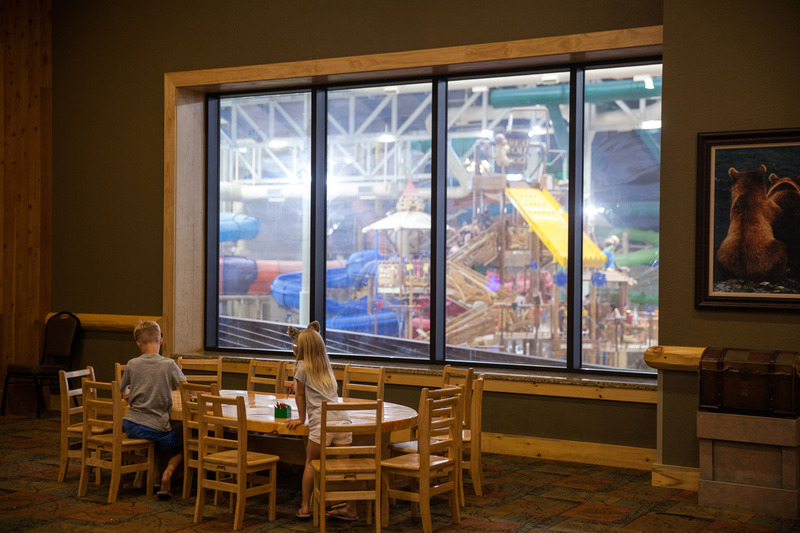 On top of the hours of fun the family can have in the waterpark, Great Wolf Lodge stuffs a bowling alley, kid-friendly spa, miniature golf, MagiQuest (a interactive role playing game), full arcade and so much more in to their roughly 328,000 square foot facility. 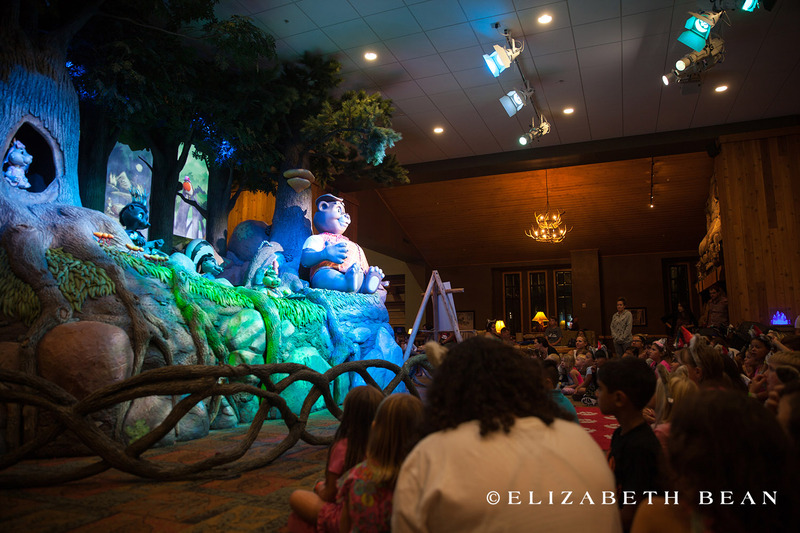 With all this, the resort certainly caters to everyone regardless of age. 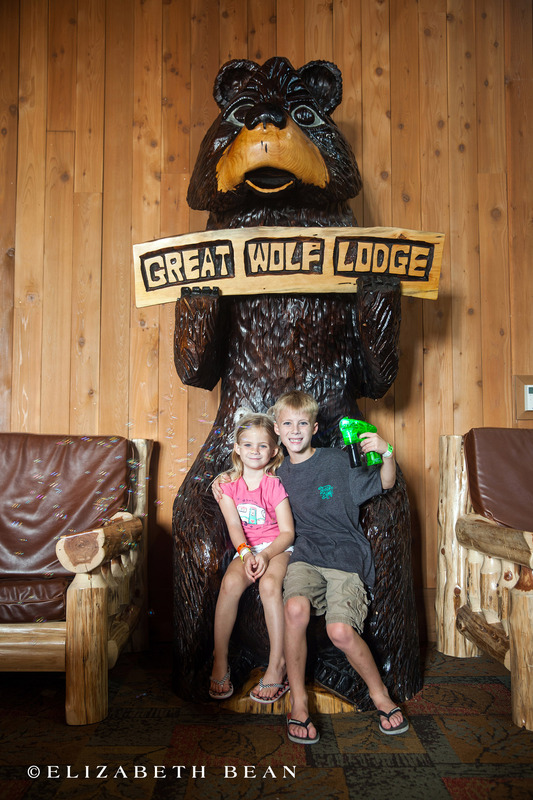 The Great Wolf Lodge features 600 suites, which run in price from $250 to $600 per night depending on the season, size and if you opt for the Wolf Den with kiddo friendly bunk beds. 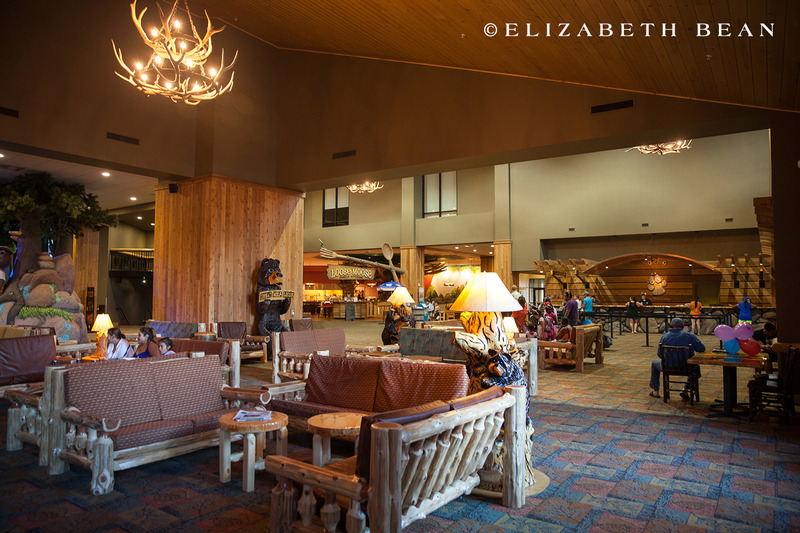 All rooms have wilderness themes and can accommodate large families or groups. 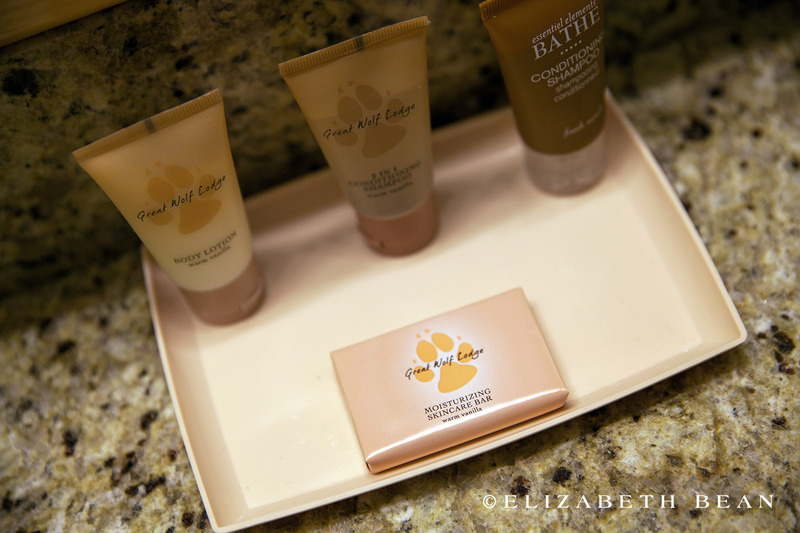 Our standard room was comparable to a national chain hotel and was clean and well appointed. 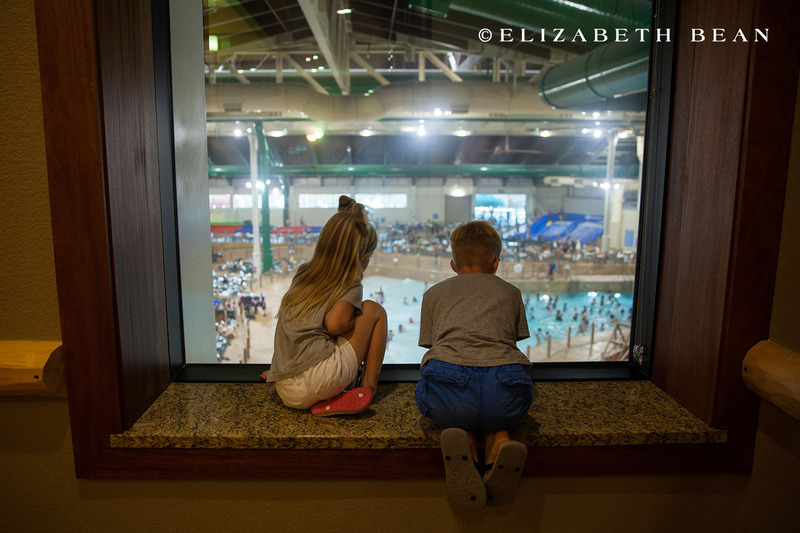 With a water park the size of a college football stadium, there is plenty to do. 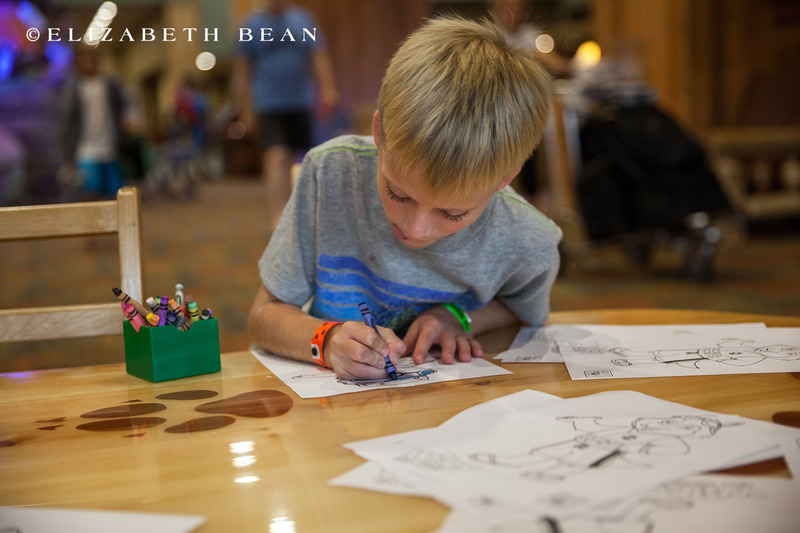 The fun is anchored by Fort Mackenzie, a multi-level tree house with spraying stations and slides and bridges. And if your not paying attention to the ringing bell, you may not see the 100-gallon tipping water bucket above your head. You had better stay clear unless you want to get soaked as the water comes gushing down. The first time it happened, we were caught off guard and it scared the living daylights out of our 4yr-old. 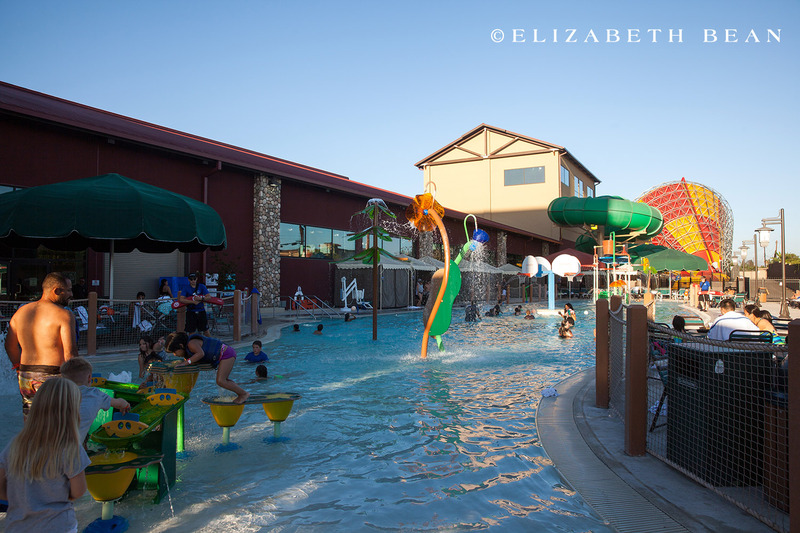 There are also five pools ranging in size from a shallow toddler pool with toys to a HUGE wave pool. Want to fulfill your need for speed or twist, 12 different water slides are here. 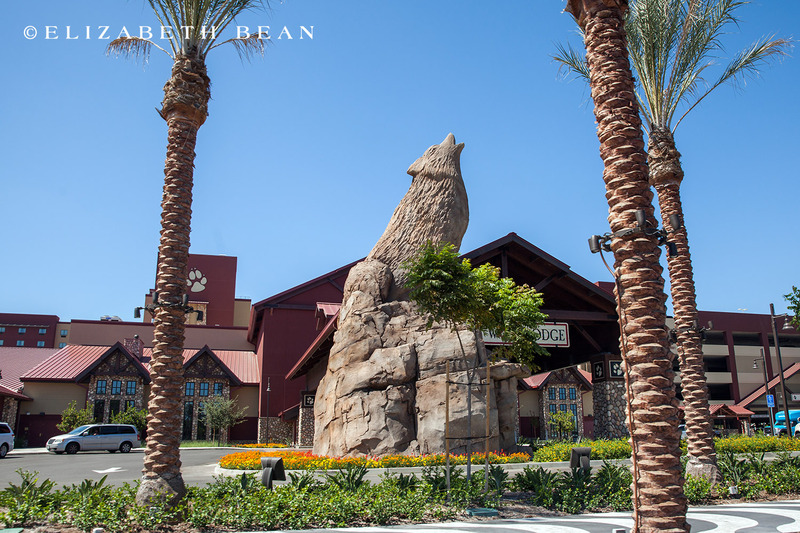 From short 4-year-old friendly slides to the monstrous Wolf Tail and its 20-foot vertical drop they have something for you. 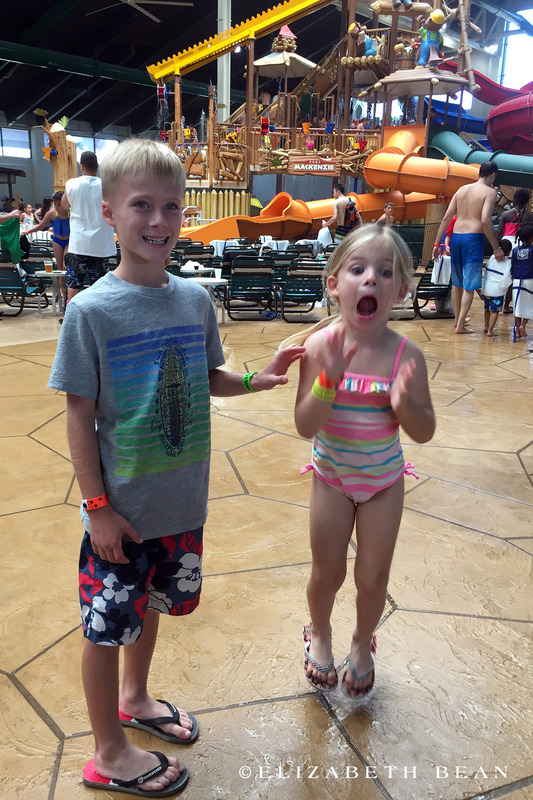 Want to catch a wave…jump in line for the indoor surf simulator. 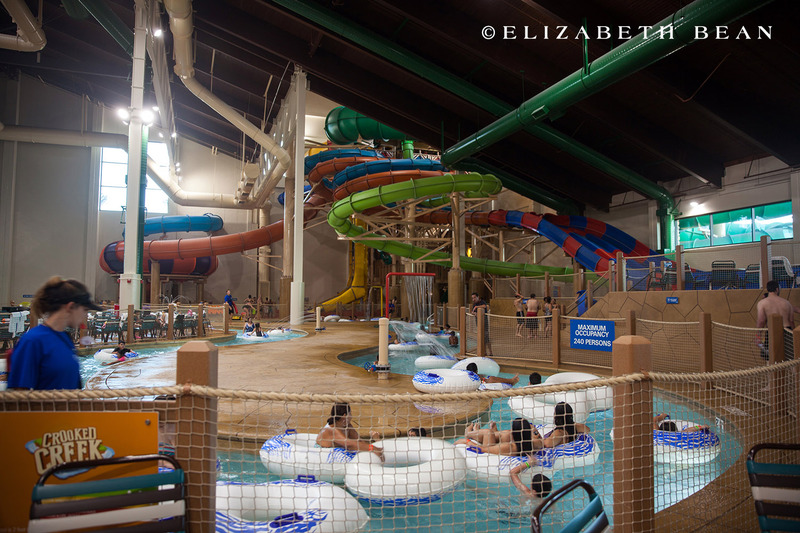 Want to cool down and relax…jump into the lazy river. 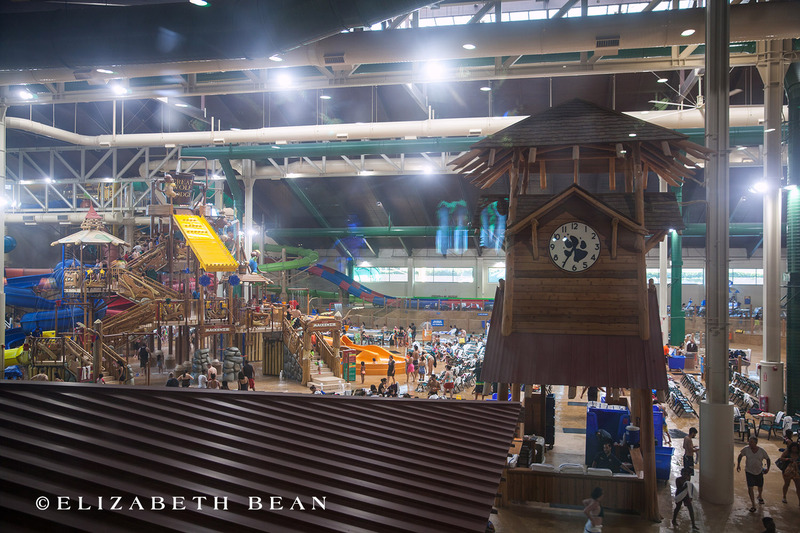 They even have water basketball hoops, an obstacle course and a jungle gym, pretty much anything, for everybody, all indoors, in 84-degree weather, year round. Kiddos getting waterlogged? 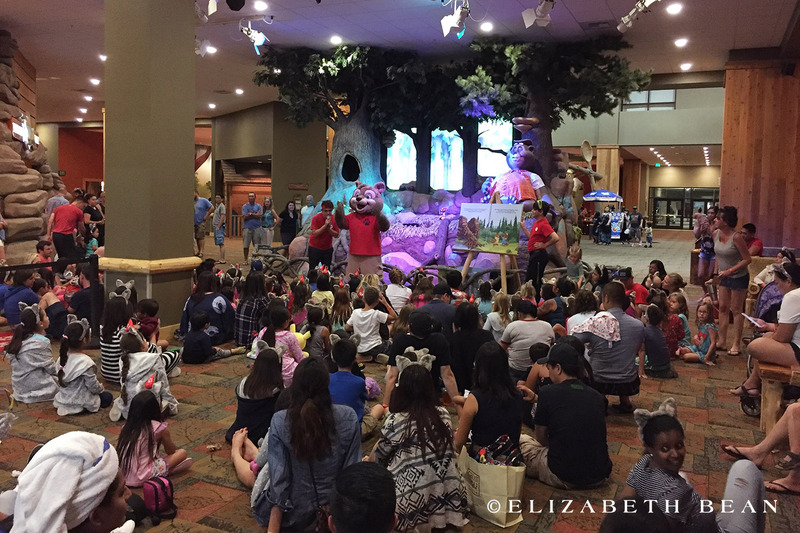 Enjoy some of the non-water related activities. 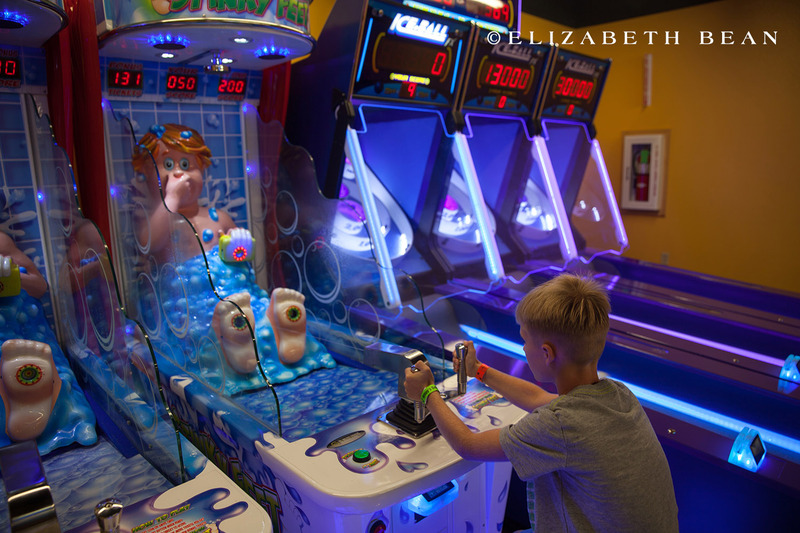 I believe we spent just as many hours in the arcade as the waterpark. 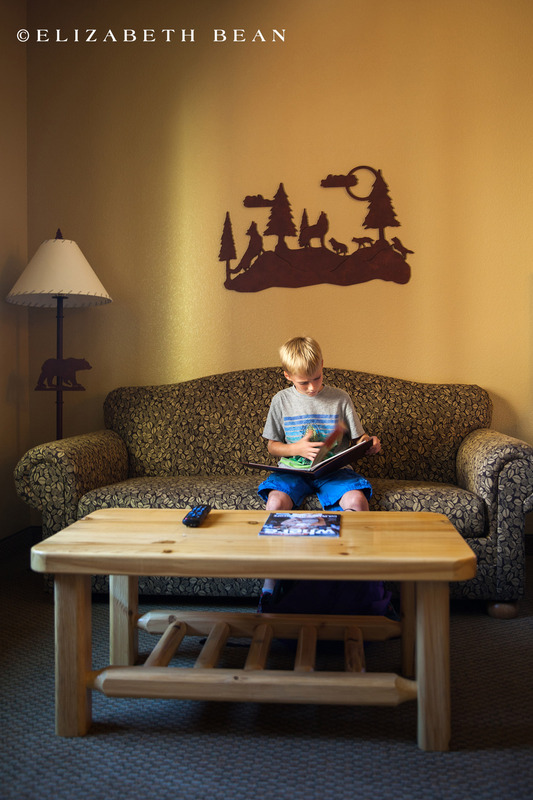 Or you just need the kids to wind down before bed, hit up the lodge’s bedtime stories in their jammies and sing along— perfect way to end the day. 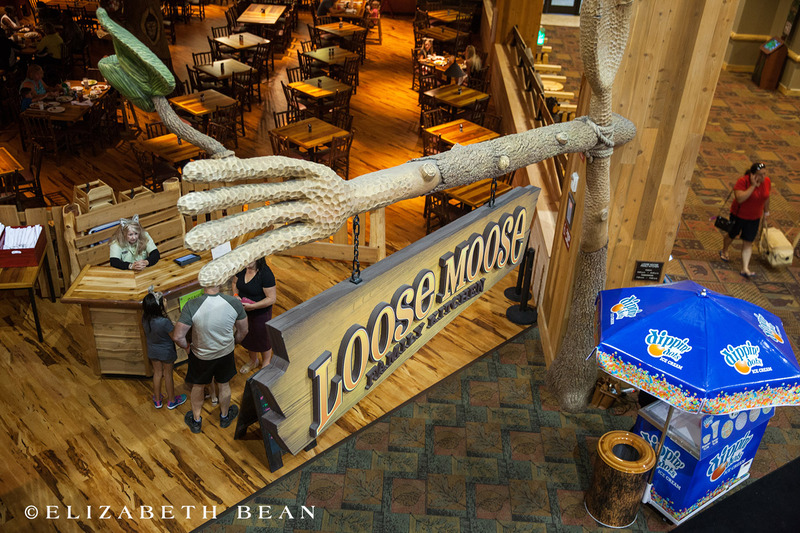 The dining experience at the Great Wolf Lodge is priced about the same as most amusement park and adds up fast. 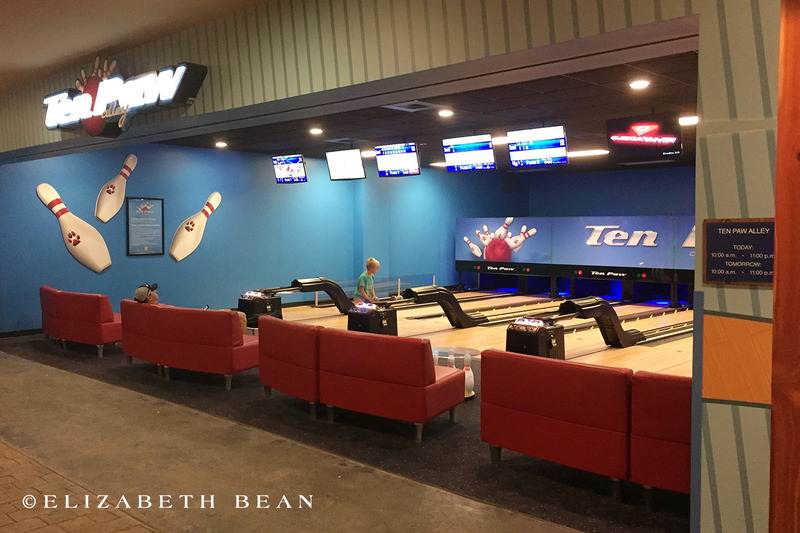 But, at least they do offer many options ranging from sit-down meals to grab-and-go snacks. There is even a Dunkin Donuts in-house for the late night snack or early morning treat! Rain or shine, there is no bad weather here! 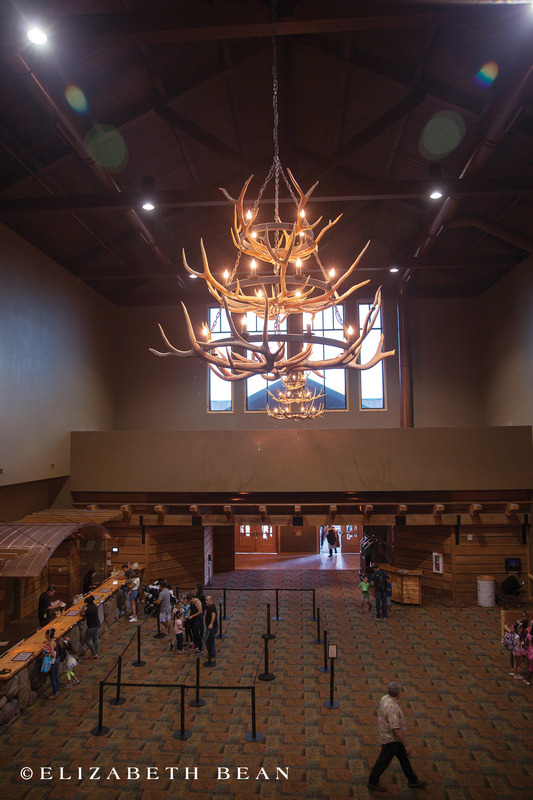 While the Check-in process can be long, it is very efficient. 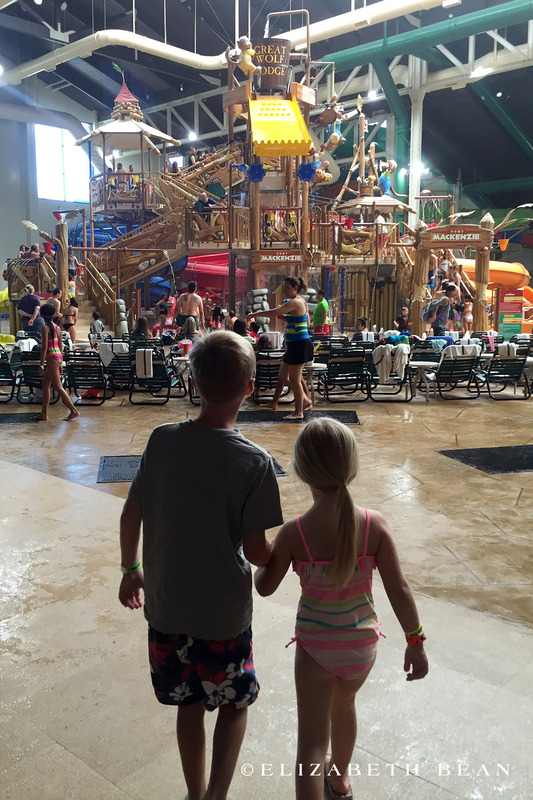 Check-in starts at 4pm, but your welcome to show up at 1pm to get your wristbands and begin to enjoy the waterpark. 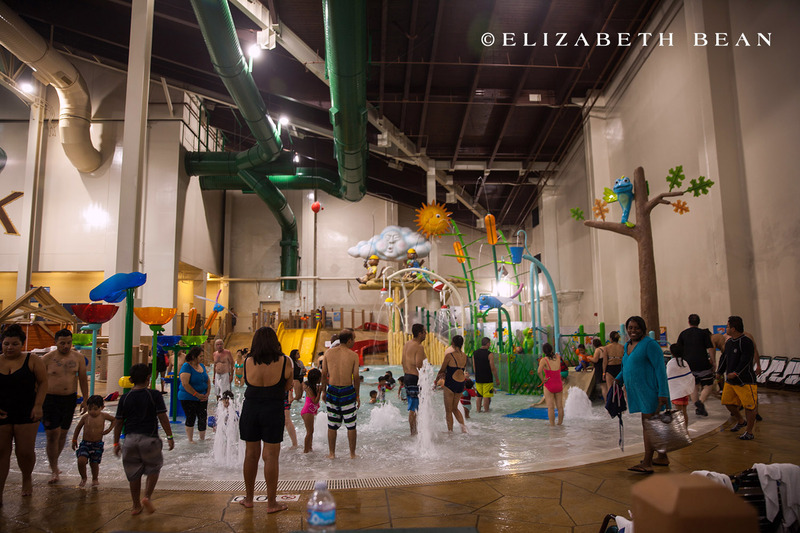 After checking out, you can even stay in the water park till closing at 9pm! Towels and life jackets are provided, free of charge. 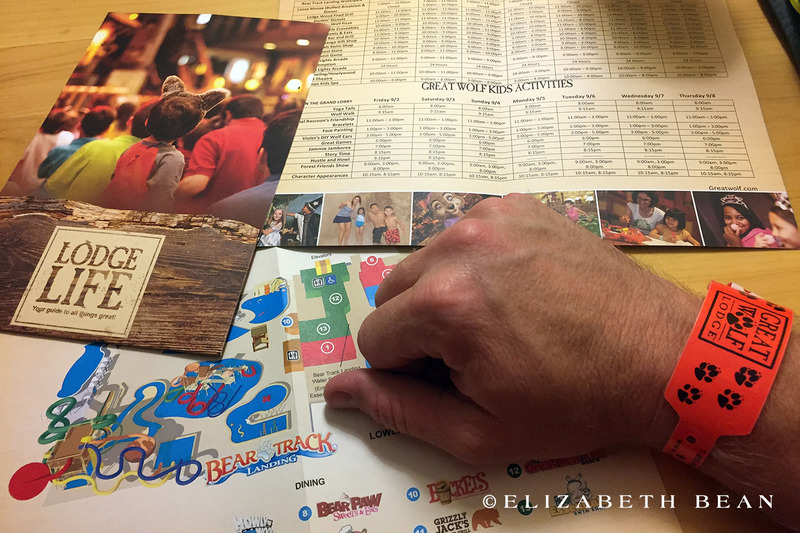 The adult wristbands are electronic and function has your room key with cashless payments option. It’s a very convenient and clever way to replace traditional forms of identification, payment and access credentials that are usually carried in a wallet or purse. 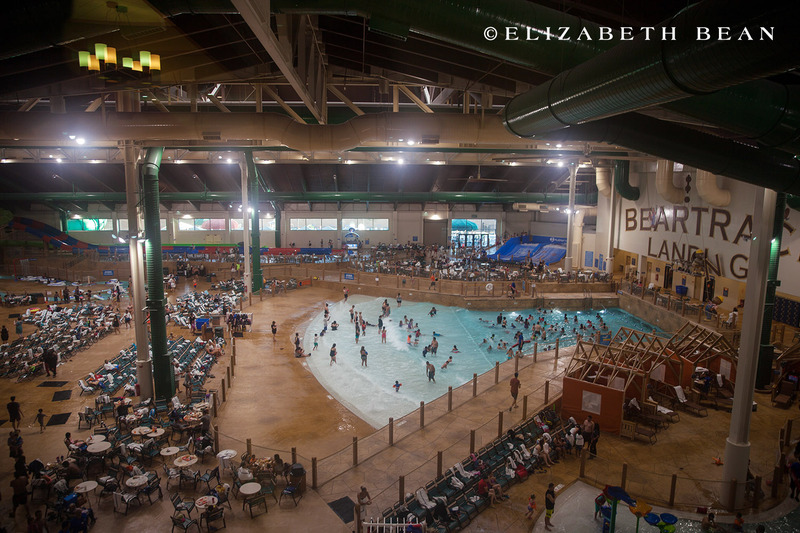 The waterpark is very noisy and crowded at peek hours. 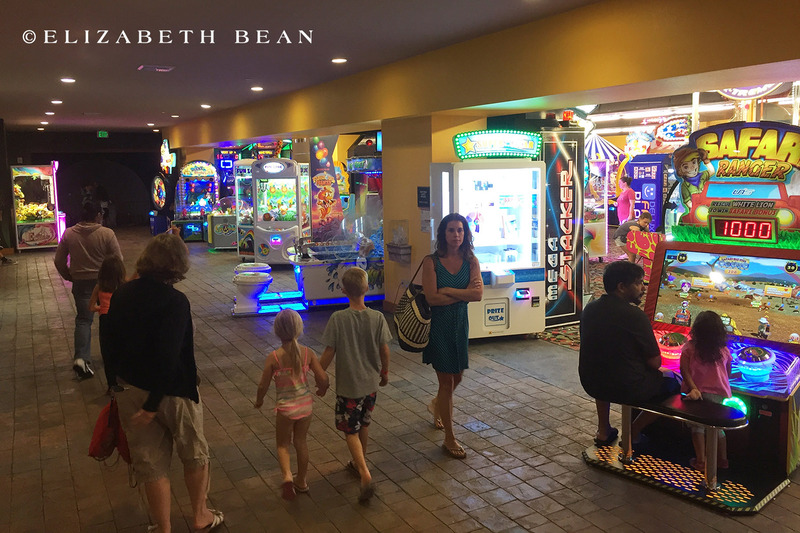 While beer is actually served right in the water park area—most likely to keep parents sane while watching their kids— the humidity and noise can take a toll on you after several hours. 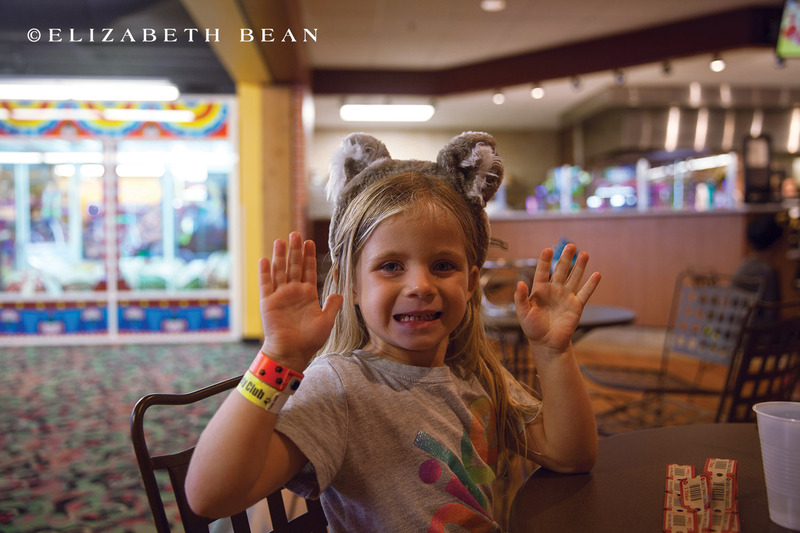 While all waterpark activities are included with the room package, pretty much everything else is added cost and can add up quickly. I keep hearing the same thing about the noise level. Still looking pretty fun though!